Wouldn’t it be nice if we all had a crystal ball and were able to predict who will buy, when, where, how, etc? Without the crystal ball, how can we predict client and consumer actions, claims, or purchases? With the availability to massive amounts of data in the world we live in today we can start to make predictions through various means such as correlations, trends, buying patterns, demographics, and so on. Predictive analytics can help us to manage risk, liability, budgeting, and predict future performance. We can help you to analyze your data to review past performance and monitor current metrics to reveal and leverage the power of your data. We can help you forecast to see where trends are emerging and where performance is headed. 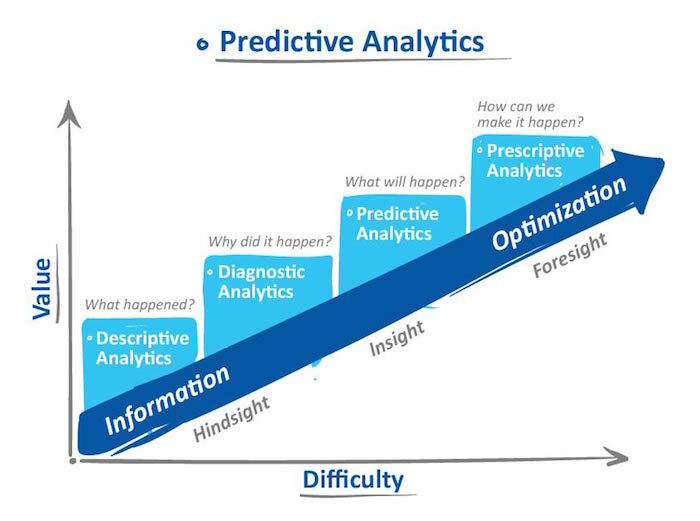 Predictive analytics can help you make more informed decisions. To find out more about our offerings regarding predictive analytics contact us today.